Pizza preparation tables are for pizza preparation. Improve pizza making efficiency and speed with a pizza prep table. 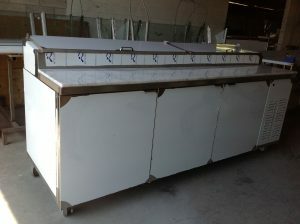 Pizza prep table units have refrigerated rails and cabinet bases, raised ingredient rails, and pizza-wide cutting boards. The doors of the pizza prep tables are 18 1/2″ wide, made to fit a standard dough box or tray. When choosing a model consider: drawers, doors, combination of the two, size, certification. 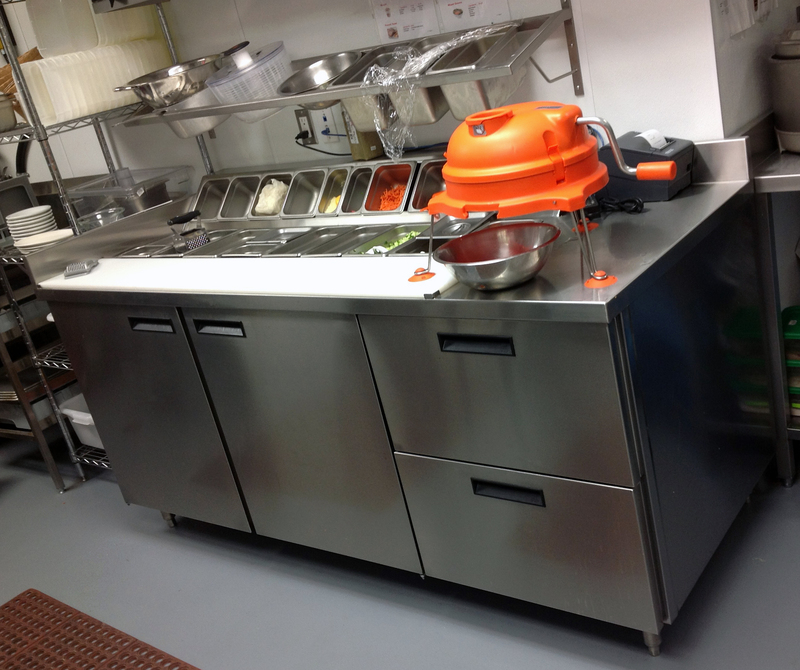 Pizza prep tables will fit food pans to store ingredients. Casters are good for easy cleaning, and mobility. Custom designs and sizes are available upon request.